Mr. Cook's career spans more than 30 years in the maritime and energy sectors with the last 17 years in the LNG sector. Mr. Cook joined FLEX LNG in March 2017. 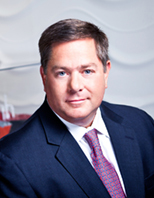 Previously, Mr. Cook was a founding partner and COO at Excelerate Energy and was part of the leadership team that pioneered new frontiers in LNG shipping and transportation, by developing and marketing floating storage and regasification technologies to address the logistical challenges of importing and exporting LNG worldwide. In 2013 he joined Cardiff LNG where he managed the commercial activities including spot trading and business development and played an instrumental role in bringing Cardiff LNG to the forefront of the LNG shipping sector.